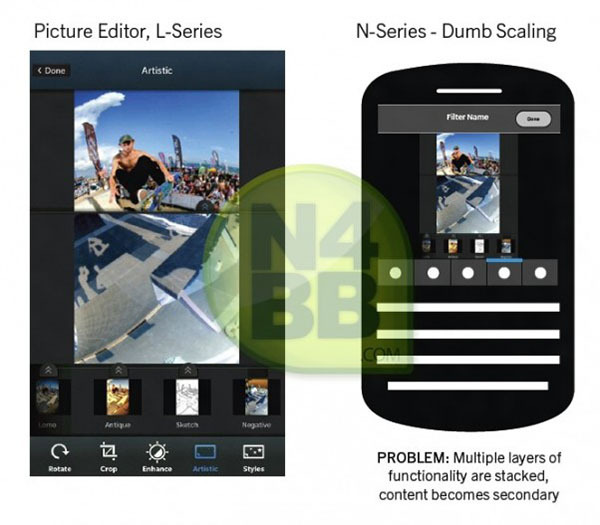 Following up on our video posted of the BlackBerry 10 photo editor running on the BlackBerry 10 Dev Alpha, a new set of slides also showing it off have now popped up. 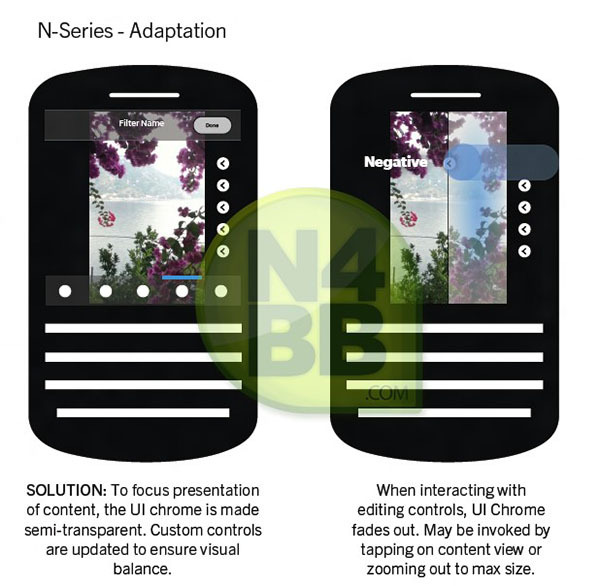 In them, you can see the issue RIM is facing with the form factor choices between the N-Series devices and the L-Series devices but aside from that, you get a good look at the app and how interactions will work with it. Again, it's important to point out none of this should be considered finalized at this point in fact, the slides slightly differ from what we saw in the video but after all this time, it's nice to see the pieces of the BlackBerry 10 puzzle coming together as they should.